Dense fog at Port of Tampa is causing delays for a Royal Caribbean cruise ship which is expected to have a knock-on effect for the next scheduled sailing. This morning, the weather is impacting cruise ships including at the Port of Tampa where Brilliance of the Seas which is operated by Royal Caribbean is delayed. The ship was originally scheduled to arrive into port at around 8:00 AM but as of writing this is still waiting off the coast until conditions improve. 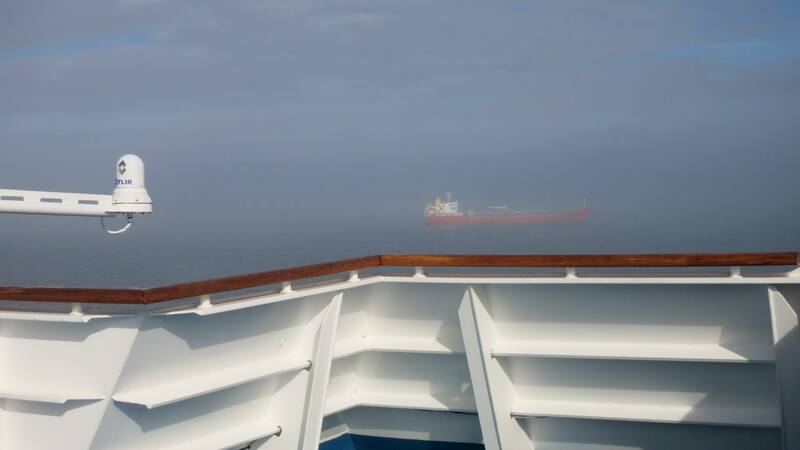 There has been some patchy fog in the area which did open up a window for the ship to meet the pilot at 10:15 AM but this has now failed due to worsening conditions. As a result, Brillance of the Seas will be delayed further impacting travel plans for those onboard and guest booked for the February 4 sailing. We just hope no one booked early flights and everyone took out cruise insurance as these weather issues do happen sometimes. According to an announcement from the captain, it is likely the ship will arrive at the cruise terminal at Port of Tampa later than 2:30 PM. The Royal Caribbean ship is coming to the end of a 4-day cruise which included a call at Cozumel, Mexico. The next scheduled sailing was originally set to depart Tampa at around 4:00 PM for a 50day cruise with calls to Key West in Florida and Cozumel, Mexico but the embarkation process will start at a much later time. Guests booked for this sailing should keep in touch with Royal Caribbean for the latest updates. Brilliance of the Seas is a 90,090-ton vessel with a guest capacity of over 2,100 at double occupancy. The Carnival Fantasy arrival into Port of Mobile, Alabama is also delayed due to weather, you can read about that here.